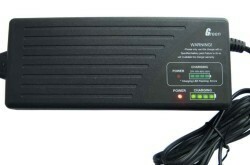 Range of high power 24 Volt battery chargers. PowerStream now offers a series of precise and fast chargers for sealed lead acid batteries specifically designed for the 24 Volt market. 3 models of low noise switchmode chargers designed to power equipment while also charging. In stock. Fast Chargers, slow chargers medical 24 Volt.